Craig Swapp & Associates is dedicated to helping you receive the care you need and compensation you deserve. Talk to a specialist, It doesn't cost you anything, no strings attached. The specialist will evaluate your situation and tell you if you have a case or not. SETTLEMENT $1,000,000.00 Client was rear-ended when a truck driver looked down at a map and didn’t notice traffic slowing. WHAT’S MY CASE WORTH? Personal injury law is a complex minefield of legal traps and pitfalls – thanks to the games played by insurance companies. That’s why having an experienced legal team by your side is critical to the success of your case. When you’ve been in an accident, having the right attorney handling your case is the most important decision you’ll make. Our legal experts at Craig Swapp & Associates are available right now to speak to you now through a phone or chat conversation. Getting help for your personal injury case is easy, fast, and free. “One call, that’s all!” The motto of our personal injury law firm means that victims of accidents and negligence only need to make one simple phone call to get the legal help and personal attention they need. Craig Swapp & Associates is well-known for its motto: “One call, that’s all!” Whether you live in Idaho, Utah, or Washington, getting the help you need after a car accident or personal injury is just one simple phone call away. The personal injury lawyers of our firm are committed to doing what’s right and helping people hurt by others when they need it most. These values have been instilled in all of our injury attorneys through the leadership of our founder, Craig Swapp. Craig has been a passionate advocate for victims’ rights throughout his legal career, and he has been a member of the American Association for Justice and the Board of Governors of the Utah Association for Justice. When you’ve been hurt thanks to someone else’s carelessness, just remember “One call, that’s all!” By contacting Craig Swapp & Associates, you’ll get an experienced lawyer on your side who will help you take on the insurance company, determine what steps to take next, and gauge how much your claim is worth. With our firm, you’ll get the legal help and the results you need and deserve. *Click markers on the map for office details. My biggest fear was not having all the expenses caused by the accident paid for in full. I was assured they would be taken care of but I admit I was skeptical. When we wrapped everything up (which happened quicker than I was originally told) I had extra money in my pocket. I honestly thought there was a catch but my attorney explained everything to me in detail. If I am ever in that position again I'll be giving Craig Swapp a call. Before calling your firm I had 2 big worries. One was I didn’t want to do more paper work, and that fear was resolved when I had to do very little, but Craig Swapp and Assoc. did most of it, and when I did have to come in to sign papers they worked around the times I could do it. Worry 2 was I didn’t want people to think I was “sue happy” and that I was just out to get money. I just wanted my bills to be paid for that were from the accident, and that was resolved I think by Mr. Wes Mortenson and Theresa because they listened to what I had to say. Choosing the right attorney is important for the success of your case—in fact, it’s absolutely critical. Make sure you make the right choice by choosing Craig Swapp & Associates. After an accident or injury, it’s absolutely essential that you recover your damages and losses from the responsible party in the form of financial compensation. Doing so will allow you to get the medical care you need, repair your property, and simply move on. But getting that compensation is not easy, which is why you want to contact the personal injury lawyers of Craig Swapp & Associates. Craig Swapp & Associates has the experience you want on your side. Our injury attorneys have handled a multitude of cases that run the gamut when it comes to accident type and injury severity. No matter what you’ve been through, our law firm will know how best to handle your case and get the best outcome available for your personal injury case. Also, the resources available to our attorneys are extensive. With five locations across three different states, Craig Swapp & Associates has developed a network of legal contacts and expert witnesses, as well as a variety of other resources that can make or break the outcome of your case. When your future wellbeing is on the line, you want to know that your attorney has all the necessary tools available. Finally, our personal injury law firm has a powerful reputation in the legal community of the Intermountain Northwest. When an insurance company hears that Craig Swapp & Associates is handling your claim, they’ll know that you mean business. We strive to settle cases quickly through negotiations, but the insurer will know that we’re not afraid to go to court and get the compensation you need. With serious injuries come lengthy recoveries. It’s very likely that you’ll need to take time off work following your accident so that you can adequately recuperate. Unfortunately, the inability to earn a living can leave you in financial ruin when you steadily accumulate a mountain of medical bills and leave household expenses unpaid. Don’t let yourself be taken advantage of for another moment. If you choose to work with a personal injury lawyer at Craig Swapp & Associates, you’ll have a team of highly trained professionals by your side who will advocate for your best interests and put your case first. We will work diligently to establish liability and maximize the amount of your final settlement so that you can reclaim control over your life. Having the assistance of a knowledgeable personal injury attorney when filing your claim can greatly benefit your case. When you are recuperating, the last thing you’ll want to do is get out and gather witness statements and other supporting evidence. Your lawyer will gather the evidence you need to win your case, and we’ll also negotiate with the insurance company on your behalf, work to prove that the responsible party is liable for your damages, and calculate the true value of your personal injury claim so that you don’t have to settle for a penny less than what you deserve. With Craig Swapp & Associates, you’ll have a dedicated professional by your side who will constantly fight for your right to full compensation. What Injuries Qualify for a Personal Injury Claim? Our firm deals with some of the most catastrophic injuries accident survivors can endure. The recovery time in these instances is often lengthy and will require both physical and occupational therapy to learn how to live with any permanent effects of your injuries. Spinal Cord Injuries – The extent of your spinal cord damage will depend on whether your spinal cord has been torn or severed. Many victims suffer from partial or total paralysis with a spine injury. Severe Burns – Often leaving a tremendous amount of scarring, third-degree burns are some of the most painful to experience as the nerves of the flesh are exposed. Additionally, burn survivors can expect to experience recurring infections. Organ Failure – The effects of organ failure will depend largely on which organ has been damaged. In the most severe cases, accident victims will need to get an organ transplant and remain in the hospital until one becomes available. After a successful organ transplant, they will need to remain on anti-rejection medications for the remainder of their life. Traumatic Brain Damage – Probably the most devastating of injuries, a traumatic brain injury (TBI) can leave victims unable to speak, express themselves, write, walk, or even breathe independently. Your personal injury attorney will work with your physician to establish the extent of your injuries and how they are expected to impact your life in the future. Craig Swapp & Associates will account for each and every loss so that you are able to recoup the full cost of your damages and losses. Possibly the most frequently seen type of accident, motor vehicle collisions also result in some of the most serious injuries. These wrecks can involve automobiles, tractor-trailers, motorcycles, pedestrians, boats, and bicycles alike. The sudden impact of a crash between any combination of these can cause devastating injuries and property damage for everyone involved. Vehicle parts manufacturers could be found liable if a malfunctioning or defective part was the cause of the crash, while the department of transportation in your state can be sued if a problem with the roads played a part in causing the collision. When more than one of these parties is liable, your personal injury lawyer will bring a claim against each of them to maximize the amount of compensation you receive. Fault insurance states require the party responsible for causing the accident to cover the injury victim’s damages, making their insurance company financially liable. No-fault insurance states require all drivers to carry personal injury protection (PIP) coverage on their auto insurance policies so that their own insurer will cover a portion of their medical expenses, lost wages, and vehicle repairs. Only when the damages of the crash exceed the policy benefits can compensation be sought from the at-fault party. Premises liability accidents occur when you are on someone else’s property and they have failed to ensure that all hazards are clear so that no one is injured. Slip-and-fall accidents are the most common example. These types of injury-causing accidents most often occur when store owners don’t de-ice their walkways prior to opening for business following a snowstorm or restaurant owners don’t utilize wet floor signs when there is a spill. The owner of the property will almost always be liable for your damages if you were injured due to a danger on their property. The exception to this is known as the “open and obvious,” which means that the property owner cannot be found liable if the hazard should have been obvious. An example would be if you tripped on a sidewalk that was clearly broken. You might have a product liability claim if you purchased a product and it was defective, malfunctioned, or caused you harm in some way. Defective product injury claims differ from other types of accidents in that nearly anyone involved in the chain of distribution of the product can be held accountable for the damage caused by the defective item, as they each have an obligation to ensure the safety of the product before it hits shelves or becomes available to consumers. The construction industry is one of the most dangerous you could work in due to the extreme safety hazards of construction sites. Not only could you be seriously harmed physically, but you could also come down with a variety of illnesses or occupational diseases after being exposed to hazardous chemicals. When you’re injured in any work environment due to the careless or negligent action of another, you will have the opportunity to file a personal injury claim against the persons or entity responsible for causing your injuries. Since many states require employers to carry workers compensation coverage on their insurance policies, you’ll need to speak with your personal injury attorney to make sure that you are able to pursue a claim in addition to your workers comp benefits. Craig Swapp & Associates can also help you pursue a workers compensation claim or fight a denial in Salt Lake City or the rest of Utah. If you are attacked by a dog, the owner of the dog will likely be responsible for compensating you for your losses. Both Utah and Washington State have strict liability laws that will hold the dog’s owner liable for your damages, while Idaho adheres to the one-bite rule. Idaho’s one-bite rule means that the dog owner cannot be held liable the first time a dog bites, particularly if the canine didn’t have a history of aggression prior to the first bite. Strict liability means that the owner is responsible for a dog bite even if the dog didn’t have a prior history of aggression. The exception to both of these rules occurs when the person who was bit was trespassing on the dog owner’s property at the time of the attack, or if the person attacked was provoking the dog by teasing, taunting, or abusing it. A personal injury attorney from Craig Swapp & Associates can help you determine where your case falls. There are many potential parties that could be held responsible for the damages you suffered in your accident. Nearly anyone who contributed to the cause of your accident should be required to pay for every expense and loss that you’ve endured. What many personal injury victims fail to consider is what happens when they are partially responsible for causing the accident—or even what will happen if they’re accused of being responsible. In Idaho, Utah, and Washington, the law allows injury victims to recover damages from the at-fault party even if they are partially liable for the accident they were involved in. In both Idaho and Washington, the law known as comparative negligence reduces compensation by the victim’s percentage of the blame. For instance, if you were awarded a sum of $50,000 and it was determined that you were 40 percent liable, then your injury compensation would be reduced by that same 40 percent and you would instead be awarded a final sum of $30,000. Similarly, in Utah the law states that if you are more than 49 percent liable for causing the accident, you will not be able to recover your damages from the other involved party. Any percentage less than the 49 percent threshold will be treated as it is in the above example for Idaho and Washington. This makes it incredibly important to work with a personal injury lawyer. You can count on the insurance company and the at-fault party’s lawyers to try and use these negligence laws to their advantage, and that’s something Craig Swapp & Associates simply won’t allow. Insurance adjusters will even go so far as to use deceitful tactics, such as manipulating your statement to make it appear as though you admitted or accepted blame for causing the accident. They do this so that they can reduce the amount of money they would otherwise be required to settle for. Insurers are also known for making quick settlement offers to accident victims who need the money as soon as possible. Usually they make a quick offer when they see the true value of the claim. By offering you money now, they’re hoping that you won’t realize that your case is worth a great deal more than what’s being offered. Your personal injury attorney from Craig Swapp & Associates will be aware of these insurance strategies for reducing settlements and won’t allow the insurer to place unwarranted fault on you for causing the accident. We will make sure that you don’t get taken advantage of and settle for less than you are entitled to. To have a chance of recovering your injury damages and losses, you will need to file your claim within the statute of limitations for personal injury claims in your state. We have offices in Idaho, where the time limit is two years; Utah, where the limit is four years; and Washington, where the statute of limitations is three years. The clock starts running from the date of the accident you were involved in, or from the date you are diagnosed with an injury or illness directly related to the accident. The time period to file a claim then runs until the two- to four-year period is reached, depending on which state you’re in. While this can seem like an awfully long time, your injury lawyer need as much time as possible to obtain evidence such as witness statements, police reports, expert testimony, vehicle inspection reports, video footage and photographs, and medical documentation of your injuries. This is why it is so important that you reach out to a personal injury attorney as soon as possible after you’ve been hurt in an accident. Filing an injury lawsuit against a government agency can be tricky business. It’s often hard to say whether the government agency will be required to pay you or if a private individual will be responsible for your damages. Until a complete investigation is conducted, we won’t know for certain, as each case is different. However, one thing is certain: When filing a claim against the government—whether you’re in Idaho, Utah, or Washington—it is critical that we act quickly. The statute of limitations for government lawsuits is only six months in Idaho and one year in Utah, for example. It might seem like this is plenty of time to file a claim, but between establishing liability, gathering appropriate supporting evidence, and conducting negotiations, the time limit can quickly sneak up on you. In order for us to ensure that we obtain full compensation for the losses you suffered, your personal injury lawyer will need to examine every way in which your injuries have or will impact your life. We do this by considering both your economic and non-economic damages. Economic damages are the losses that have a direct influence on your finances and might include your lost wages, the loss of potential future earnings such as bonuses, promotions, salary increases, contributions to your retirement savings account, and your medical expenses. In addition, your personal injury award could be drastically increased if the judge decides that the behavior and actions of the liable party are so egregious that they should be punished for their decisions. When the judge wants to make an example of the defendant, an award of punitive damages can apply. The goal of awarding punitive damages is deterring other people from repeating the same mistake the defendant did. When you’ve suffered a serious injury and you’re ready to take matters into your own hands by holding the at-fault party accountable for their negligent actions, reach out to an experienced personal injury lawyer with Craig Swapp & Associates. Your attorney will stop at nothing to secure the compensation you need to recover from your injuries and get your life back to normal. Our personal injury law firm is proud to provide free, no-obligation consultations to all new clients. Schedule yours today by giving our offices a call at 1-800-404-9000 or by completing the contact form at the bottom of this page. When you’re in recovery following an injury-causing accident, you probably won’t be up for much. Building a powerful personal injury claim can be a challenge, and by working with an injury attorney, you’ll have a qualified legal professional by your side who can collect witness statements, video footage, and other types of supporting evidence. In addition, your lawyer will negotiate with the insurance company on your behalf, prove the liability of the at-fault party, and examine the details of your claim so that you have a better understanding of what your claim is actually worth. What types of accidents can I file a personal injury lawsuit for? Premises Liability – These accidents are more commonly referred to as slip-and-fall accidents. They occur when the owner of a property fails to remove any safety hazards or provide adequate warning of them and someone gets hurt as a result. Motor Vehicle Accidents – The most frequently seen accident in personal injury cases, motor vehicle collisions can involve tractor-trailers, buses, cars, pedestrians, boats, bicyclists, and motorcyclists. For this reason, there are many different individuals and entities who could be found liable for the damages in a motor vehicle crash. Product Liability – If you made a purchase and the product you bought caused you injury due to a defect, you will have the opportunity to bring a personal injury. A good example of a product liability case could be tires on a motorcycle that fell apart while you were driving, causing a motorcycle accident. Construction and Work Accidents – If you’re on the clock and are injured while performing the duties of your job, you will more than likely qualify for workers compensation benefits. However, when your accident was caused by the negligent or willful actions of another, you could have a personal injury claim against the party that caused you harm. Are some injuries more common than others? The type of personal injury you suffer will largely depend on the seriousness of the accident you were involved in. We have seen a wide range of injuries in our work: everything from broken bones and whiplash to traumatic brain injuries and amputations. The one thing nearly all of these injury types have in common is that the injury victim will need to be out of work and recovering for an extended period of time. The statute of limitations for personal injury claims is different in each state. You’ll need to file your claim within the specified time period in order to recover your losses from the liable party. If you do not file in time, you will be barred from filing a lawsuit and will not be able to hold the responsible entity accountable for your injuries. You should always be prepared to go to court, although our personal injury attorneys are usually able to avoid going to trial by successfully negotiating with the insurance company to obtain a settlement that is both fair and reasonable. We will need to bring your case to court only when the insurance company refuses to continue negotiations and denies your claim or makes a lowball settlement offer. In these instances, it will be to your benefit to have an impartial judge or jury render a verdict. When you choose an injury attorney at Craig Swapp & Associates, you won’t have to worry about how much it costs unless we win your case. We don’t charge our clients a dime unless or until we win their case. Before we begin working together, we will discuss how our contingency fee arrangements work. Only after we’ve won your case and you’ve received your settlement check will our percentage be deducted from the settlement amount. This type of arrangement makes it so that you don’t have to concern yourself with juggling legal fees while you’re dealing with the stress of the claim and medical bills. Who is at fault for causing my accident? The answer to this question can be complicated, as it will depend on the type of accident you were involved in. Below, we have outlined some common types of accidents and some of the potential parties who may have been at fault. Of course, every personal injury claim is different, and who is responsible will directly depend on the specifics of your case. Yes, you can pursue a personal injury lawsuit against a government agency if their offices or agents were the direct cause of the accident you were involved in. You will need to act quickly, however, as the statute of limitations in claims against the government is only one year in Utah and six months in Idaho. This time will go by quickly, and we need as much notice as possible to gather enough evidence to support your case. What if I was partially responsible for causing the accident? When you are partly responsible for the injuries you suffered, you can still pursue claims against the other involved parties that bear the rest of the blame. However, your monetary compensation will be reduced by the level of blame you hold. The insurance company asked me to make a statement; should I give them one? It would be ill-advised for you to give a statement to the insurance adjuster. Although your words could be honest and accurate, and you want to be polite and work with the insurance company to get your claim approved, insurance companies rarely, if ever, prioritize the needs of injury victims above the best interests of the insurer’s profit margins. After all, they work in a for-profit industry, and paying out fair settlements on claims means that they are losing money. They will take your statement and twist your words to make it seem as though you are more at fault than you really are. Comparative negligence laws will allow them to reduce the amount they’ll have to settle for based on the percentage of liability you hold. Unscrupulous strategies like these make having a personal injury attorney even more worthwhile. Your lawyer will not allow the insurance adjuster to blame you for the accident when you are the victim. We will negotiate with the insurer to ensure that you receive a settlement that will meet your needs. If the insurer made me an offer, do I have to accept it? No, you are not legally obligated to accept an offer made by the insurance company. In fact, if the insurer made you an offer quickly, it’s very possible that they understand that your claim is worth a lot more and they are hoping to avoid paying you the full amount of compensation. 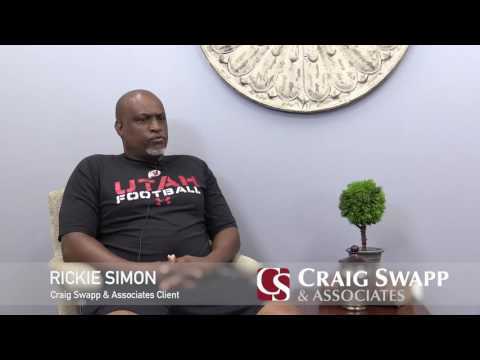 Before accepting an offer, you should review it with a personal injury lawyer from Craig Swapp & Associates so that we can go over what your damages really are. You don’t have to settle for less than you are entitled to when we’re handling your claim. What’s the difference between economic and noneconomic damages? How do you figure out what my claim is worth? Our personal injury lawyers work in conjunction with your treating physician to calculate the total value of your damages. This involves examining your economic damages such as medical expenses and any property damage you’ve experienced. Next, your lawyer will consider all your noneconomic damages and the extent of each. Additionally, we will need to consider how your injuries will impact you in the future, whether you need extended medical care or will be unable to participate in activities you once loved because of the extent of your injury. Part of our responsibility is to ensure that no stone goes unturned and that every single loss you suffer is taken into consideration when it comes time to accept a settlement offer. What is the loss of enjoyment of life? If you are interested in claiming damages for the loss of enjoyment of life, your injury lawyer will need to establish that you have a diminished capacity to participate in activities you once found joy in. For instance, if prior to a motor vehicle accident, you were a marathon runner but suffered a severe leg injury that required amputation, you would likely experience greatly reduced enjoyment of life. Even if you chose to use a prosthetic leg, you would be at a diminished capacity to run in marathons and be able to claim the loss of enjoyment of life in your personal injury claim. Will the responsible party pay my medical bills? Getting your medical expenses covered will be critical to achieving maximum compensation in your injury claim. With the cost of healthcare being so high, you certainly don’t want to get stuck footing the bill. When claiming pain and suffering as a damage in your personal injury claim, we are referring to both the physical and emotional effects that your injuries have on your life. If you suffered from third-degree burns, for example, you would have experienced excruciating pain. Many injuries can also cause extreme depression, even to the point where you might not be able to get out of bed each day, which would constitute suffering. It’s important that we go over every way in which your life has been impacted by your accident so that the value of your pain and suffering is taken into consideration. What if the accident caused the death of my loved one? If a family member or loved one was injured in an accident and subsequently passed away due to critical injuries, Craig Swapp & Associates will pursue a wrongful death claim against the party responsible for causing the accident. In some states, including Idaho, Washington, and Utah, wrongful death claims are pursued the same way a personal injury lawsuit is, and damages are calculated as if the deceased had been alive and able to pursue a claim on his or her own behalf. What types of evidence will help build my personal injury case? There are many kinds of evidence that can support your personal injury claim. Your injury attorney will conduct a thorough investigation and obtain photographs and video footage (if available), witness statements, expert testimony, medical documentation of your injuries, and police reports. The types of evidence your personal injury lawyer gathers will depend on the kind of accident you were involved in. For instance, if you were injured in a motor vehicle accident, we would request breathalyzer and field sobriety results to see if the other driver was driving under the influence of drugs or alcohol. Alternatively, if you were harmed by a defective product, we may obtain safety inspection reports of the product in question. Is there a cap on the amount of injury compensation I can receive? Generally speaking, most states will put a cap on noneconomic damages such as pain and suffering, or in medical malpractice claims in general. This amount will vary based on what state you live in. For example, Idaho places a $250,000 cap specifically on noneconomic damages, while Utah has placed a cap of $450,000 for any type of case that isn’t a medical malpractice claim. If you live in Washington, things can get a little more complicated, as there is no specific dollar cap on damages, but rather a limitation on the amount that you’ll receive based on the injury victim’s average annual income and life expectancy. So, say that your average annual income is $45,000 and your life expectancy is approximately twenty years. Your damages cap would be calculated by multiplying 0.43 by $45,000 by twenty and then equal $387,000. It’s important to note that this cap is placed only on the damages for pain and suffering in Washington State. There is no cap on the amount of total compensation you will be awarded in any state, especially once you add in punitive damages, if any. Can I seek punitive damages in my personal injury claim? You will be awarded punitive damages in your injury lawsuit if the judge determines that the actions of the defendant were malicious or done with the purpose of causing harm. Punitive damages are unique in that they aren’t meant to compensate you for your losses, rather they are designed to make an example of the grossly negligent behavior of the wrongdoer. The idea is that potential future offenders will be deterred from making the same judgment calls that the person responsible for hurting you did. What is the difference between criminal court and filing a personal injury claim in civil court? There are many differences between criminal proceedings and a civil lawsuit. First, in criminal proceedings, the prosecutor is filing charges against a perpetrator who has broken the law in some way. They are usually seeking some sort of imprisonment, probation, or other form of punishment. Criminal court also requires that the prosecutor prove beyond a reasonable doubt that the defendant is guilty. Conversely, in civil court, we are only required to prove your claim based on a preponderance of the evidence. This usually means that the evidence we’ve presented proves that no one else could have been at fault. Civil lawsuits are also brought forward by individuals and not the district attorney’s office. Our goal in filing a personal injury claim is to recover your damages from the person who is responsible for causing your accident, regardless of whether the actions were intentional or accidental.